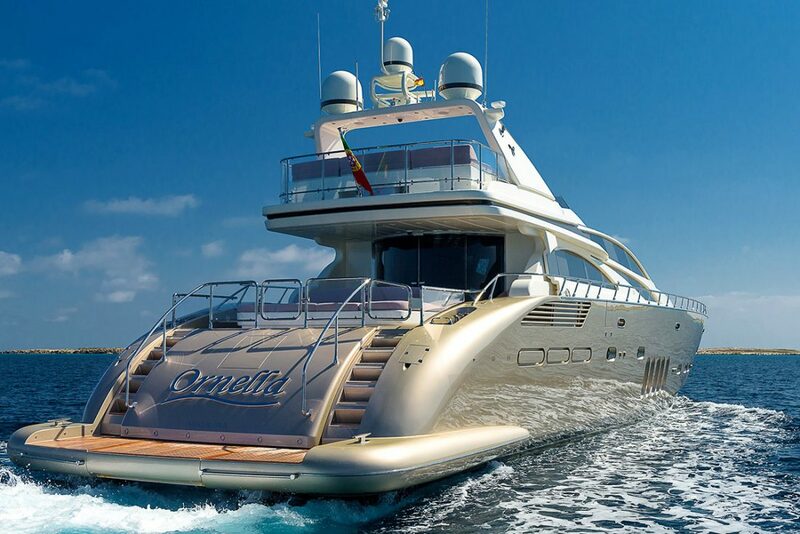 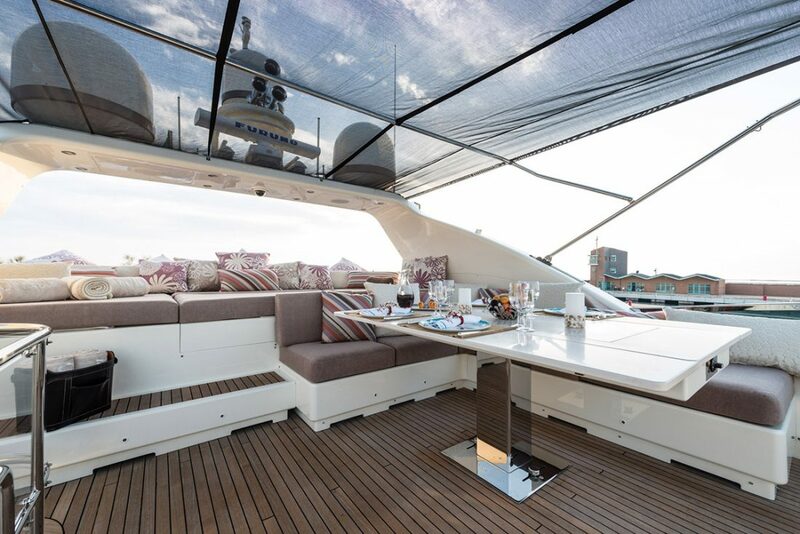 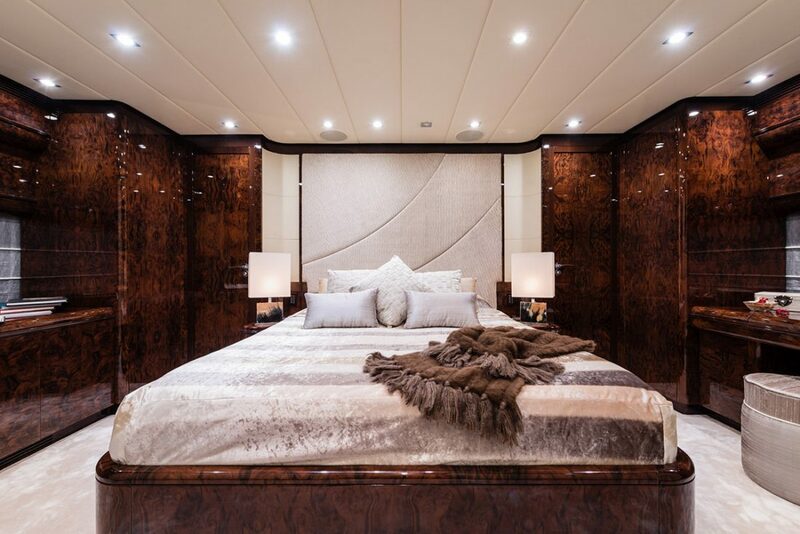 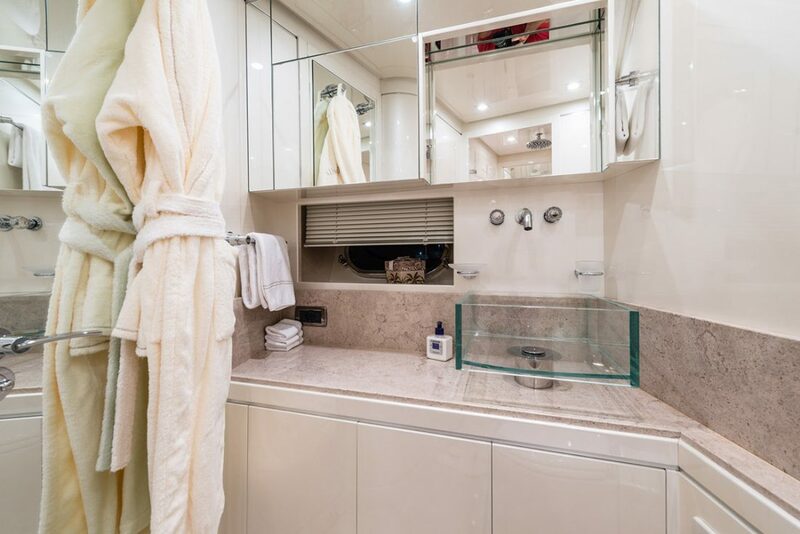 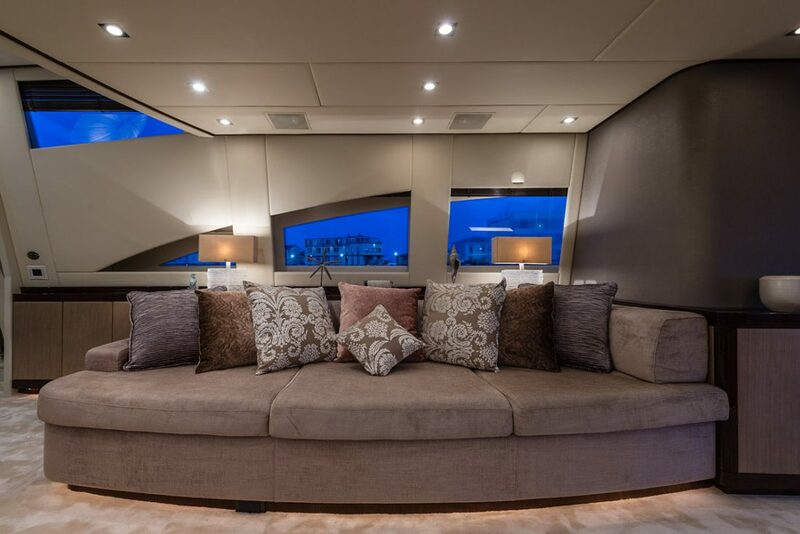 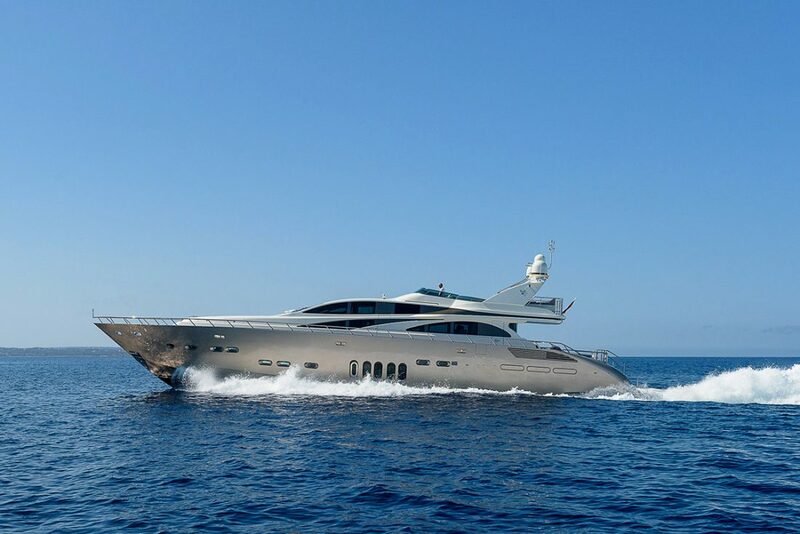 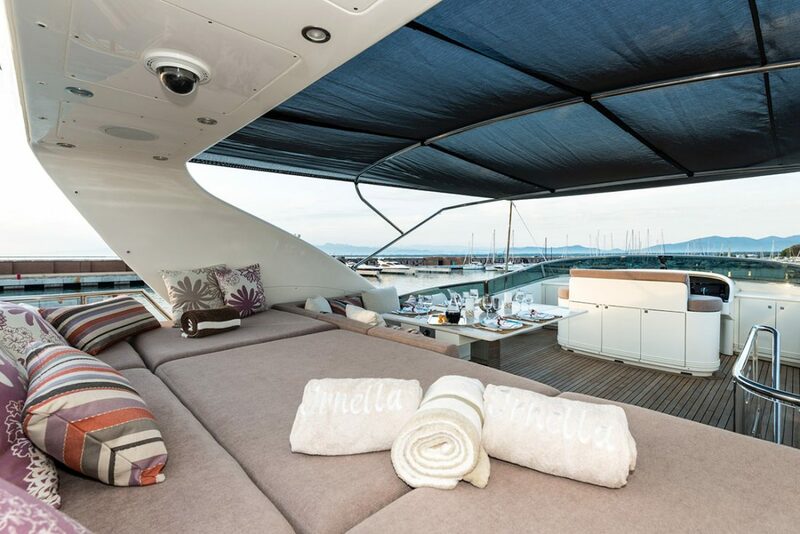 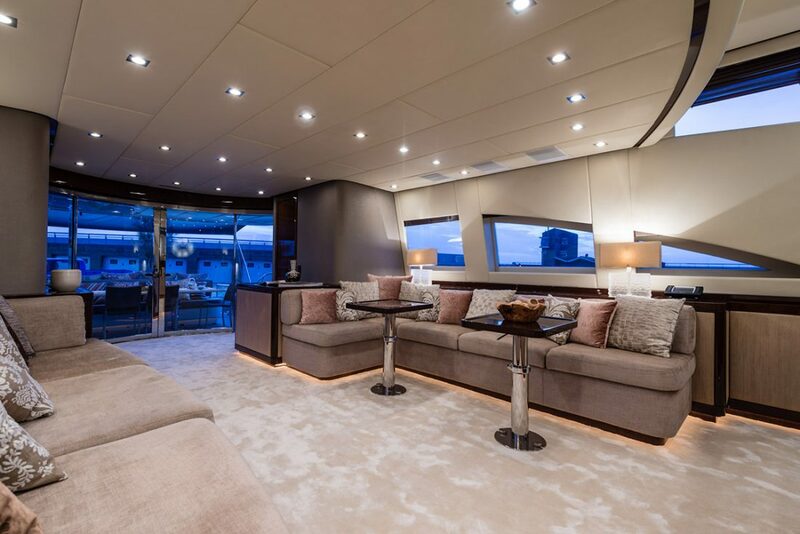 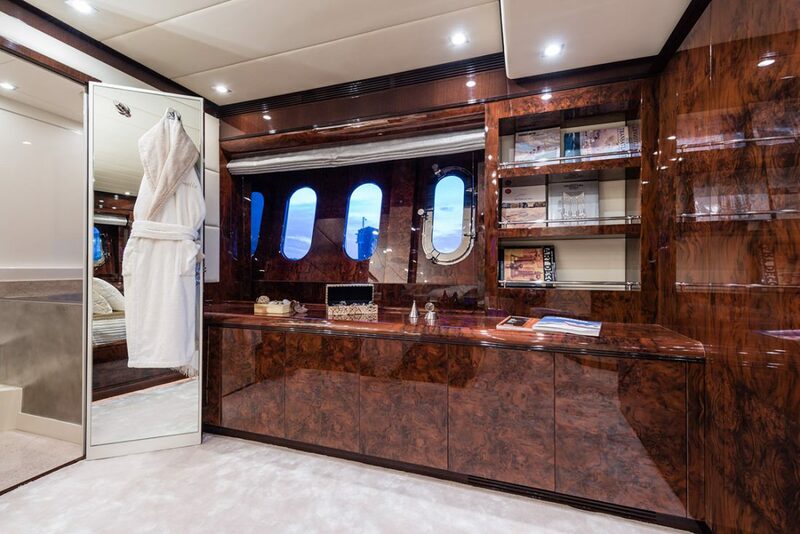 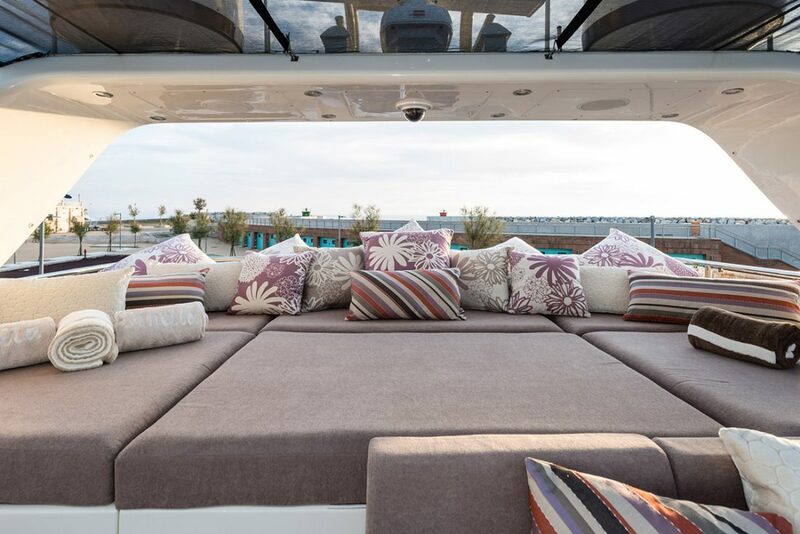 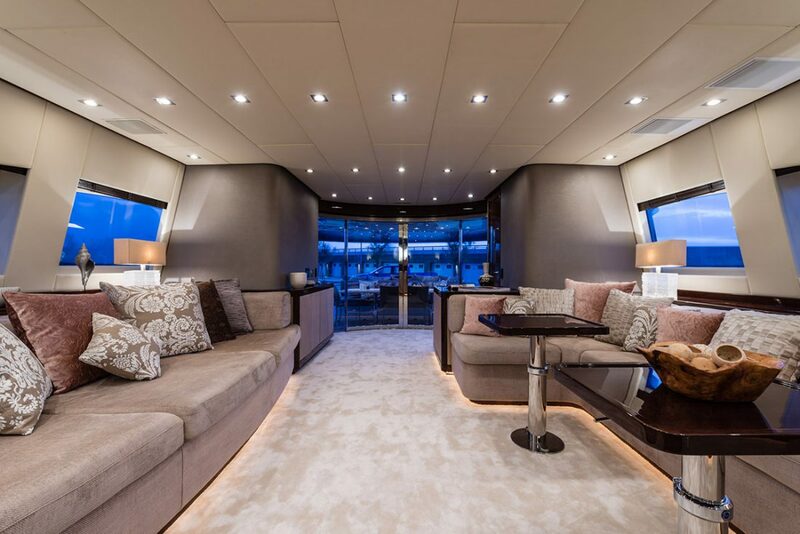 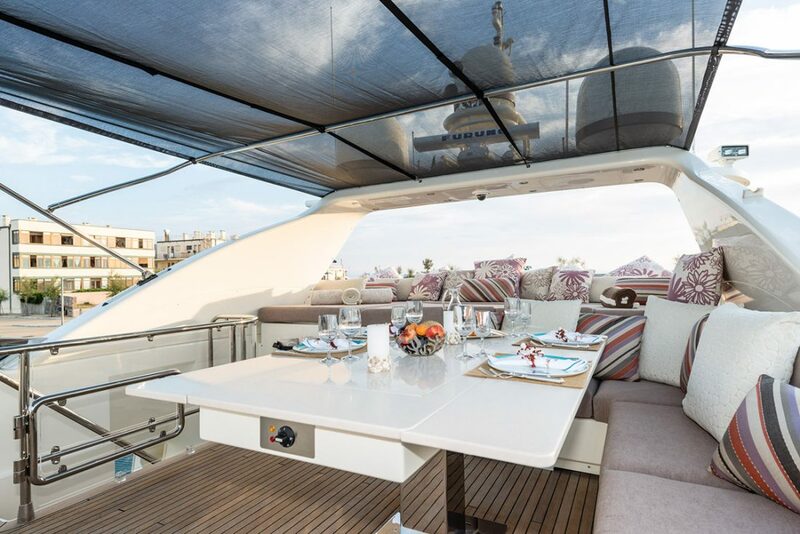 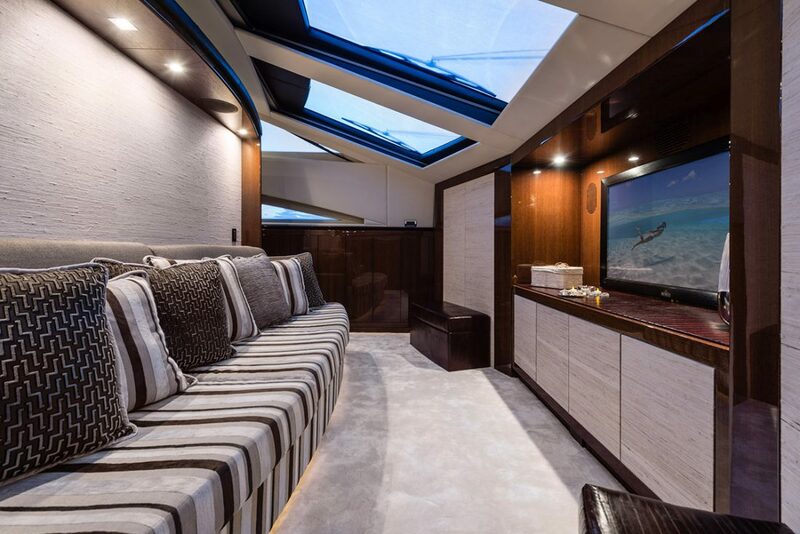 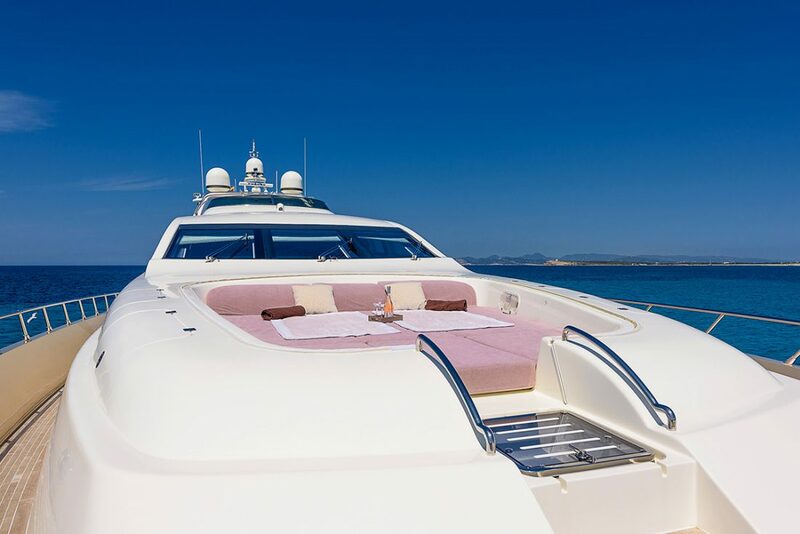 Ornella is a luxury Leopard32 with eye-catching design with 4 luxurious cabins. 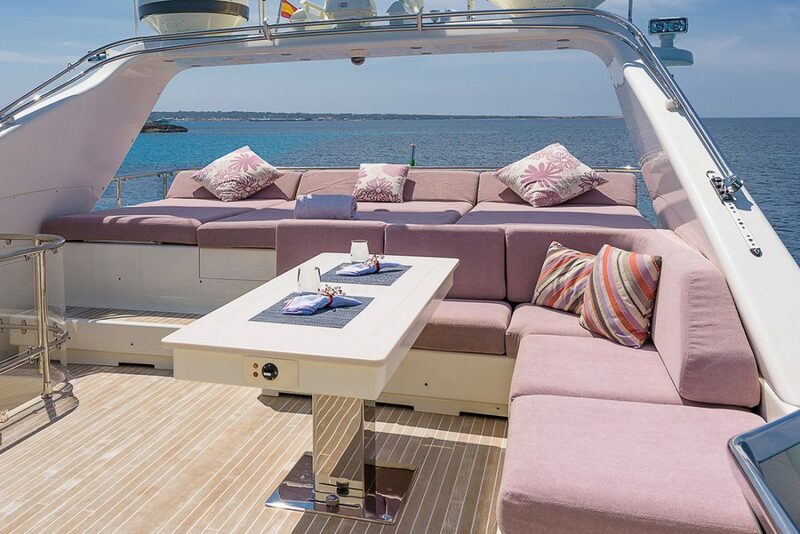 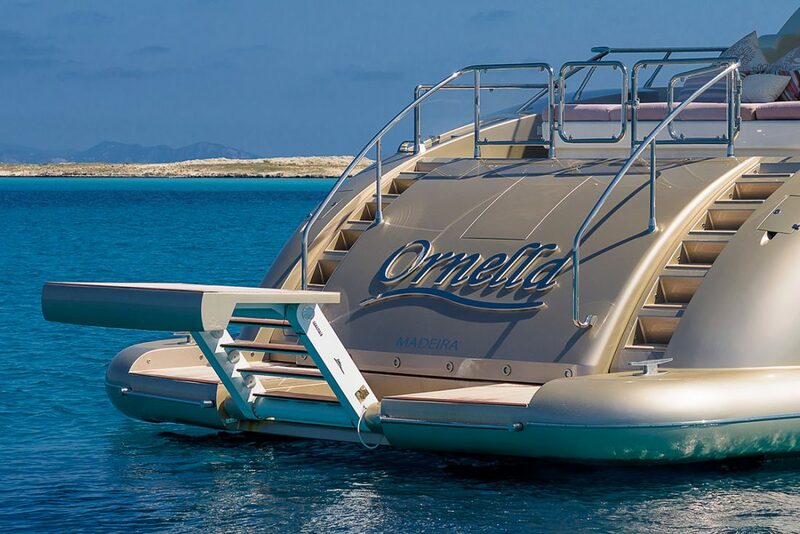 Available for both day and week charters, ORNELLA is a fantastic way to explore the beautiful coastline of Ibiza and Formentera. 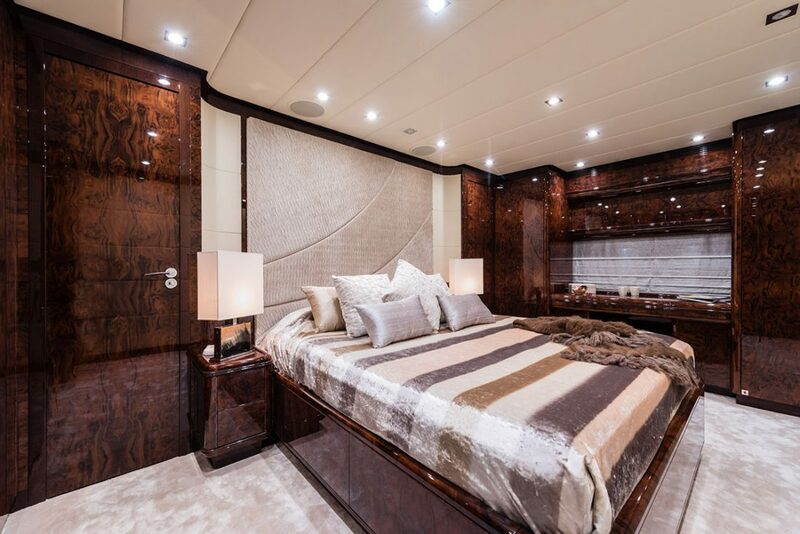 The interior décor is contemporary and indulgent with a contrast of dark woods and cream furnishings and fabrics. 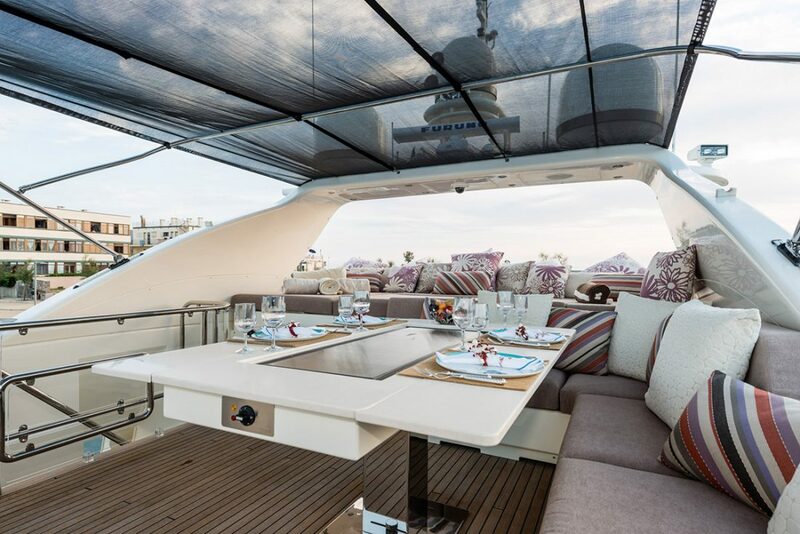 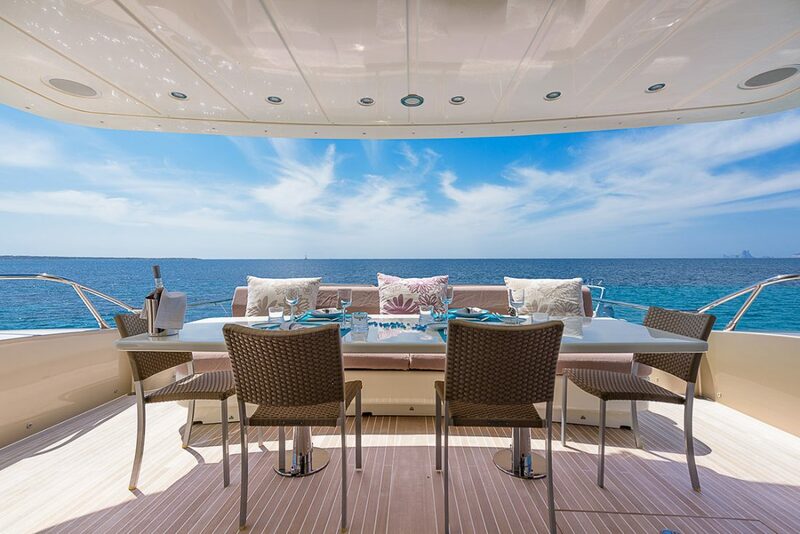 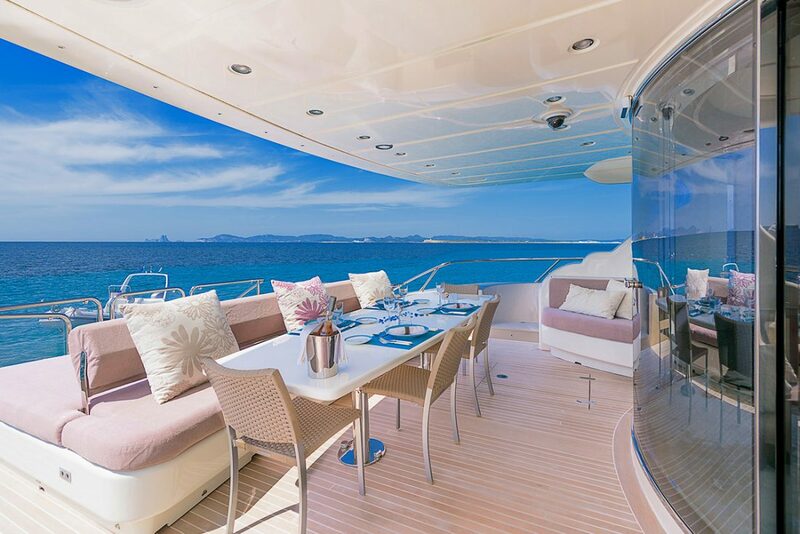 On deck, there is a U-shaped seating and dining area with a folding teak table where you can indulge in a spot of al fresco dining, whether you want breakfast in the morning sun or dinner under the stars. 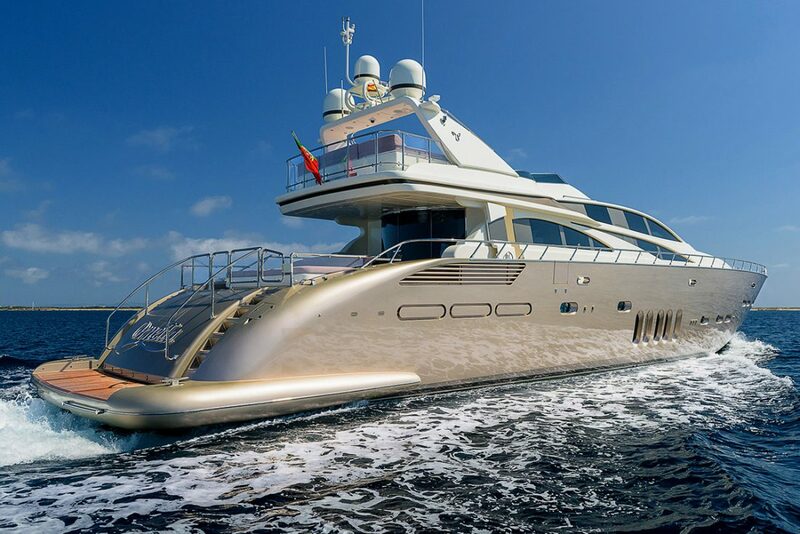 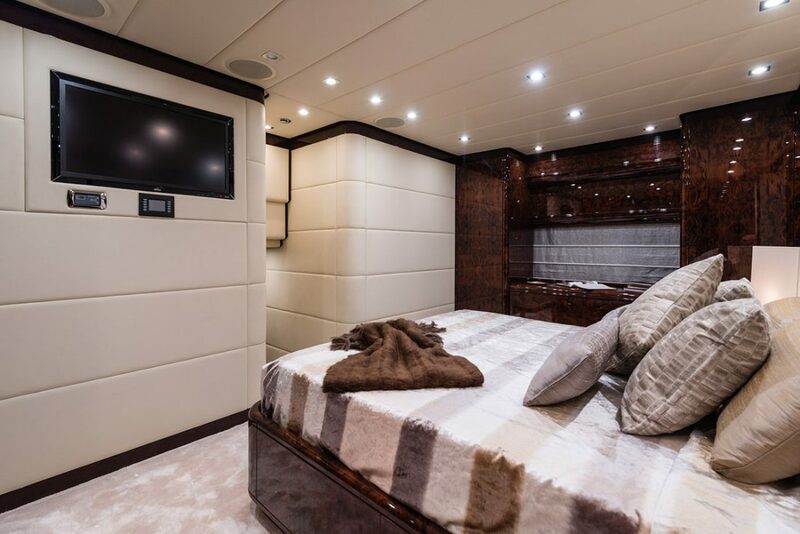 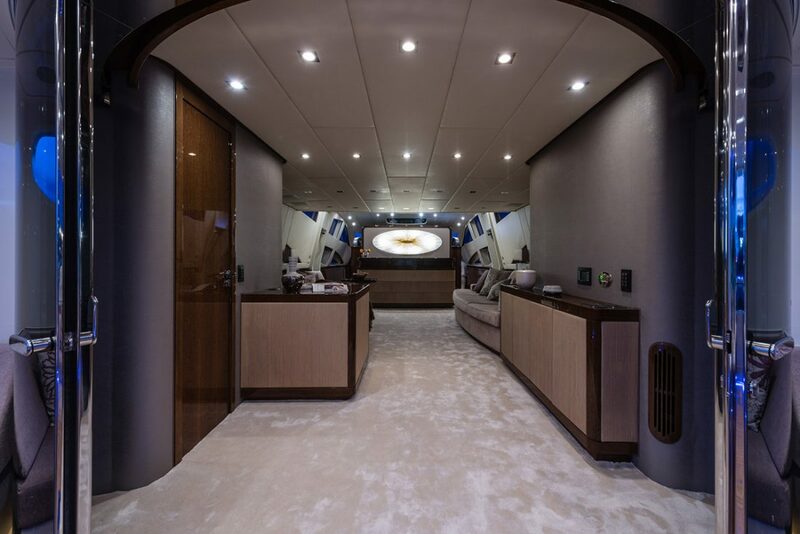 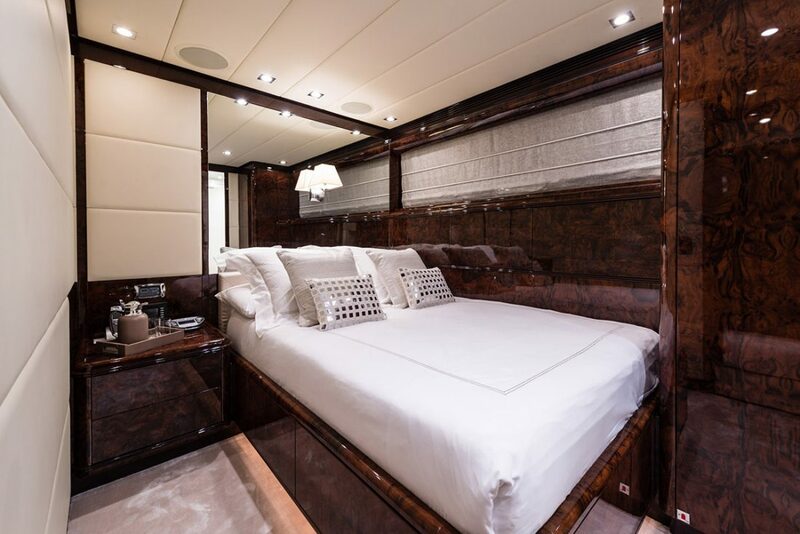 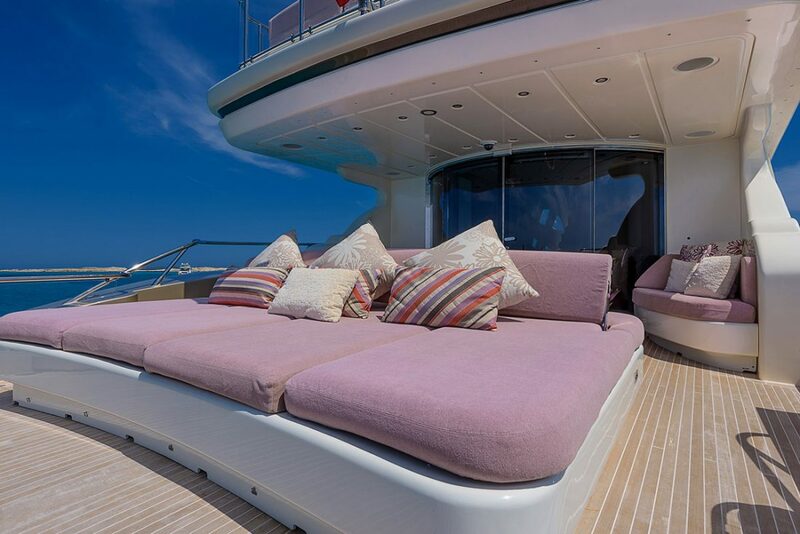 This yacht offers wonderful ambience and is being loved by celebrities and footballers alike.